The track was originally cinder and opened in 1974. The adjacent Wyndley Sports Hall (now called Leisure Centre) was opened on 23rd March 1974 by the then Mayor of Sutton Coldfield, Alderman Donald W. Mills. 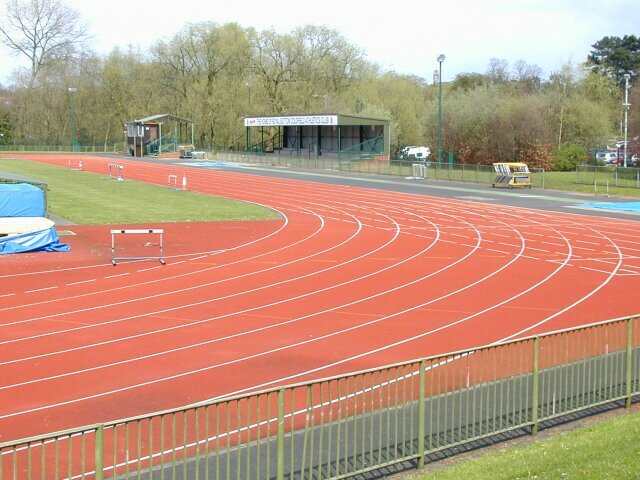 The track has been synthetic since at least 1983 and was resurfaced in 1999 with Polytan WS. The track is surrounded by a high fence which has a security coded entrance. A small covered stand was built in early 2000 and the floodlights were upgraded. The timekeeper's stand is covered and there is also an announcer's hut. All the runways are coloured green. The track is closed until 1st October 2004 for resurfacing and drainage improvements.